If you've been doubting that Mariah Carey has what it takes to make a comeback, then you're not alone. When one of music's former queens announced that her delayed album was finally getting a release date, all we could talk about was exactly what Me. I Am Mariah...The Elusive Chanteuse was supposed to mean and how the self-portrait Carey includes on the back of the album was going to give people nightmares. The singles she's been releasing have all missed the mark in various ways and, quite frankly, the anticipation for Carey's next album is anything but feverish. 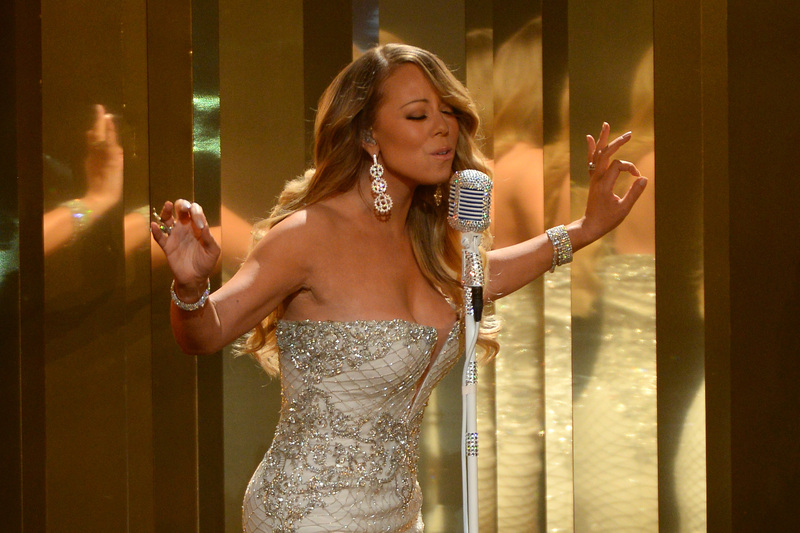 Then Mariah Carey did a live performance on The Today Show that left everybody speechless. Carey debuted "You Don't Know What To Do", a song off her upcoming album. The song sounded like classic Mariah Carey, a mixture of sass and chastisement, a power anthem that invites you to dance around your room to it. She may not be able to hit the same ranges that she could back in her "We Belong Together" or "All I Want for Christmas Is You" days, but "You Don't Know What To Do" showed that she can more than compensate for that with her sheer stage presence. The energy in the performance was what really made it stand out. Carey's backup dancers twirled with an enthusiasm that bordered on hyperactive and she herself articulated every line with the gestures and sways of her body, elevating what could have otherwise been a pretty routine performance to a new level of entertainment. The song was so good that it was almost enough to make up for the lackluster single "Thirsty" and the hit-or-miss quality of all her other singles, all for the sheer fact that Carey's charisma was present on the stage in a way it hasn't been when it's just her singing we're listening to. It's becoming increasingly clear that if Carey really wants to give her album a proper promotion, then what she really needs to do is go on tour. She still knows how to put on a show that leaves people wanting more. If she finds a way to bring that quality back to her music, then Me. I Am Mariah...The Elusive Chanteuse could surprise us all by being one of her most successful albums to date.